Summer Bucket-list Things to do this summer! 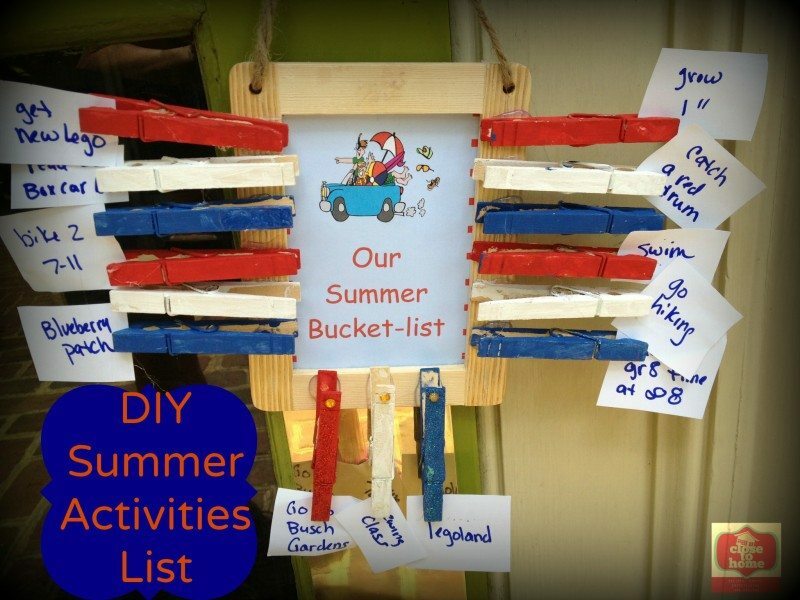 Do you and your family make a bucket list for things to do over the summer? We started this tradition a few years ago and when the kids say they are bored, we refer to our lists and see if there is something we can conquer, usually something that does not involve money or travel! I make sure there are things to do on their bucket-lists that include both personal goals, trips and local activities!! 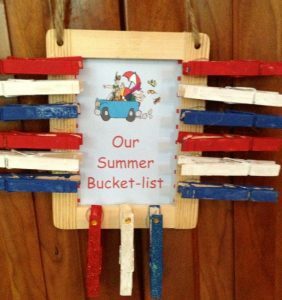 This year I decided to make a craft that would show off our bucket lists and also make a way to prioritize the kids wishes!! (this was my daughter’s idea) This is a very inexpensive craft and the kids can easily get involved. 1. 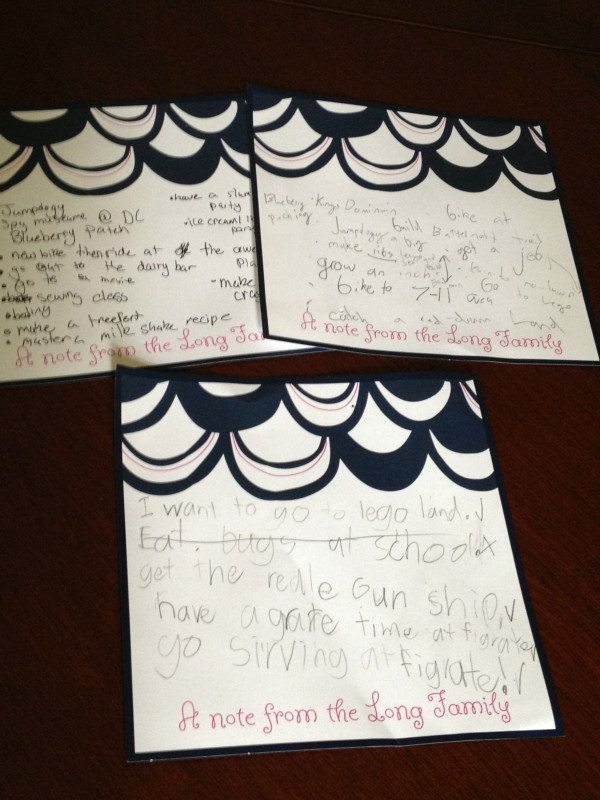 First have each kid write down their wish list of summer activities (obviously help the younger kids) on a pad of paper to start and set aside. d blue for the summer. Each child can have their own color and/or board. 4. Grab a wooden hanging frame from your craft store. Ours was a $1 at AC Moore. So far the craft costs 2.50 with all supplies. (you can paint the frame or leave it natural wood color. 5. Once the paint has dried hot glue the very ends of the pins to the frame. Make sure it is the side that does not open!! 6. On small scraps of paper write down their top wish list items. My daughter added glitter and a gem on 3 of the clothespins to designate each child’s first priority activity. What is on your family’s list of things to do this summer? aka Summer Bucket List? What a fun idea, I love it! There’s a ton going on for me already this summer so I think my bucket list would be, “Sit down for 5 minutes”. LOL!! !